The airlines of SkyTeam, Official Alliance Network for UKC2017, offer attractive airfares for participants. SkyTeam comprises 20 leading international airlines: Aeroflot, Aerolíneas Argentinas, Aeroméxico, Air Europa, Air France, Alitalia, China Airlines, China Eastern, China Southern, Czech Airlines, Delta Air Lines, Kenya Airways, KLM Royal Dutch Airlines, Korean Air, Middle East Airlines, Saudia, TAROM, Vietnam Airlines and Xiamen Air, serving 1,052 destinations in 177 countries with over 16,323 flights daily. To book your domestic/international travel for UKC2017 at discounted price, click the following link. 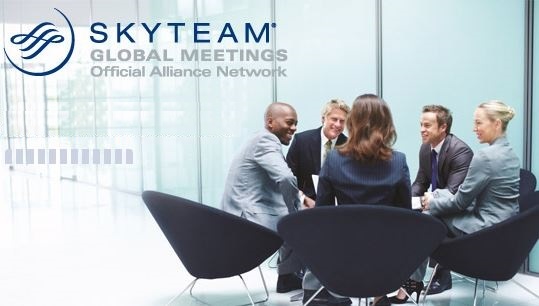 Or visit www.skyteam.com/GlobalMeetings and enter our Event ID, 3587S.